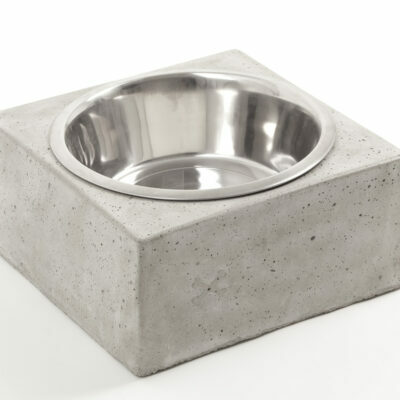 Concrete body, stainless steel bowl. The bowl is easy to remove. Dimensions: ca 15 x 15 x 8 cm, weight ca 2,9 kg. 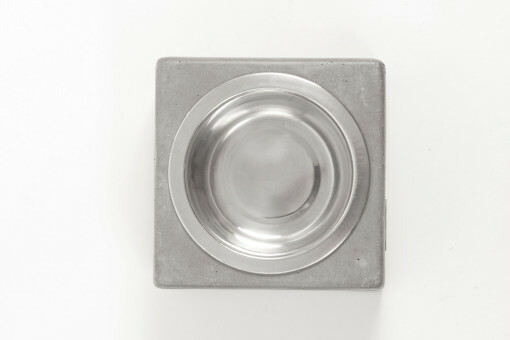 Bowl 0,45 litres. 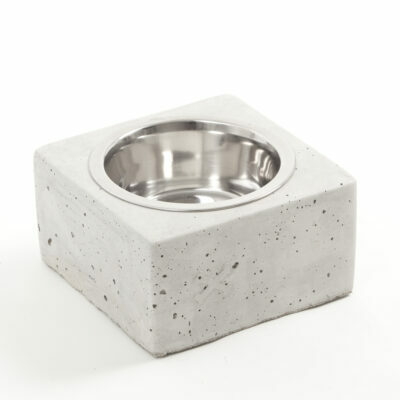 Hand poured concrete bowl set with a stainless steel bowl. 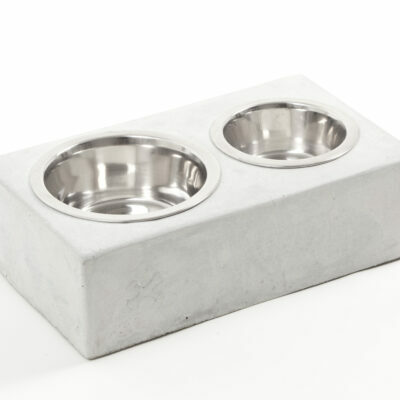 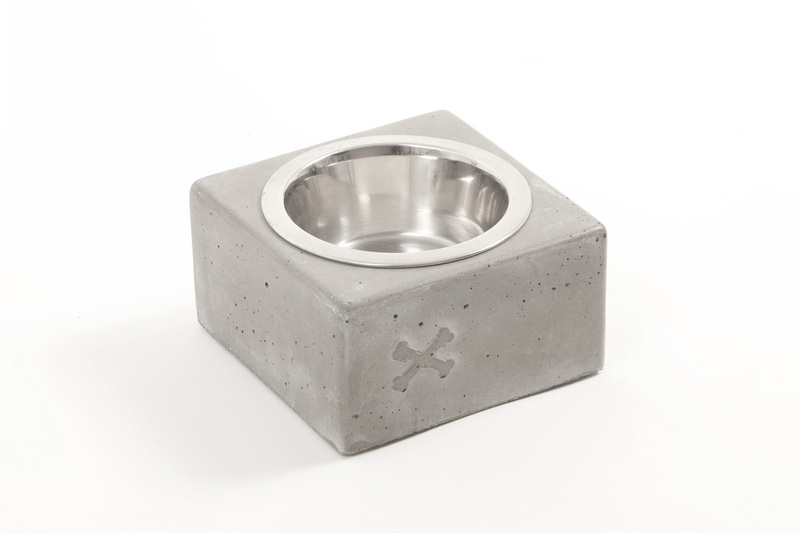 The solid concrete body keeps the bowl in place and stops it from traveling around the room or yard during eating or drinking. The concrete is finished with a surface sealant. 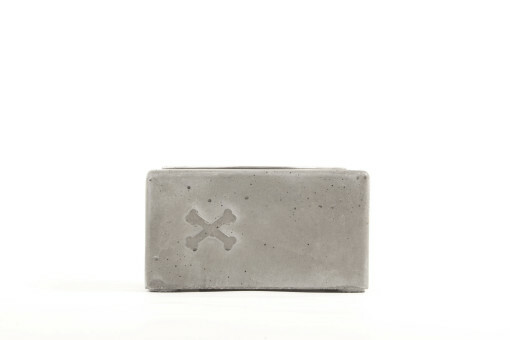 Rubber pads to protect the floor.